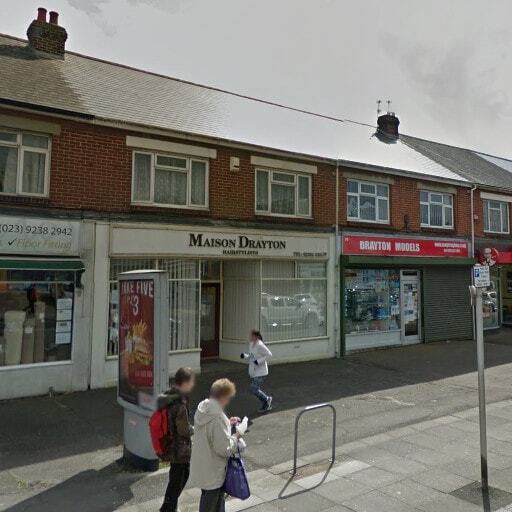 Maison Drayton salon (from Google Street View). 221,040 haircuts and 72 years later, Portsmouth hairdresser Kathleen Privett has hung up her scissors for the last time. Since 1962, she ran what was deemed to be the oldest hairdressing salon in Portsmouth. Maison Drayton, on 211 Havant Road, was formerly her father’s business. She started work there in 1945, when the salon was short staffed, helping her sister Mavis. She took over the salon in 1962, when her father passed away. Her daughter, Barbara Evans (70) also became a hairdresser. After 55 years at Maison Drayton, she too is retiring, alongside Kathleen’s daughter-in-law, Patricia Privett (68). Some of the hairdresser’s regular customers have visited her for fifty years. It has been part of Havant Road, and a regular haunt for many of its residents. As well as local regulars, she has also styled the hair of Nova Pilbeam. Ms. Pilbeam starred in two Alfred Hitchcock films, The Man Who Knew Too Much and Young and Innocent. Kathleen said in the Daily Mail’s Femail section: “Wartime movie star Nova Pilbeam would stay in Hampshire because her husband was in the Royal Navy and she didn’t know when his ship would come in to the docks. We at Passion Hair and Beauty would like to wish Kathleen, Patricia, and Barbara the very best in their retirement. Your service in our profession is remarkable. If you’re reading this and fancy nipping up to our beauty salon in Dronfield for a brew, we shall welcome you with open arms. Passion Hair and Beauty, 24 April 2017.